Indian shares ended nearly flat on Thursday paring early gains due to a decline in banking shares, while a surge in market heavyweight Infosys Ltd after the announcement of a probable share buyback propped up the indexes. 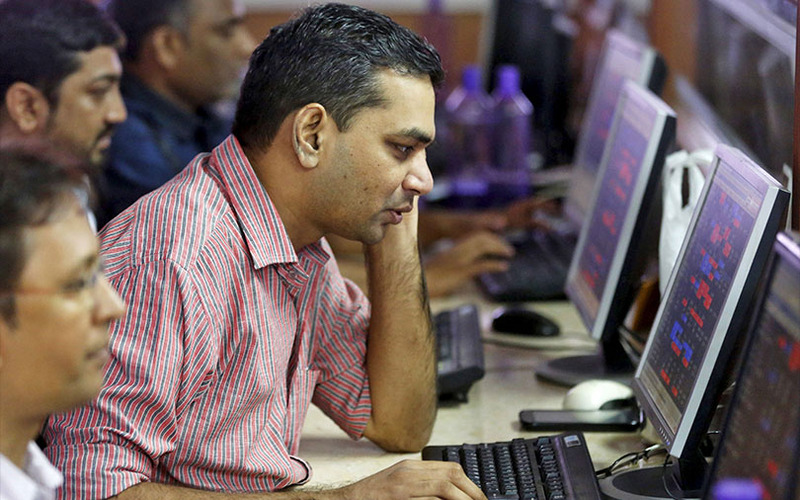 The benchmark BSE Sensex closed up 0.08 percent at 31,795.46, after earlier gaining as much as 0.52 percent. The broader NSE Nifty ended 0.07 percent higher at 9,904.15, after earlier advancing as much as 0.51 percent. Both indexes marked their highest close in over a week.